How do I use the DUO Mobile app to log in to MSU services/sites? Once you've successfully installed and activated the DUO Mobile app for your account, follow the instructions below to learn how to use the app to log in. 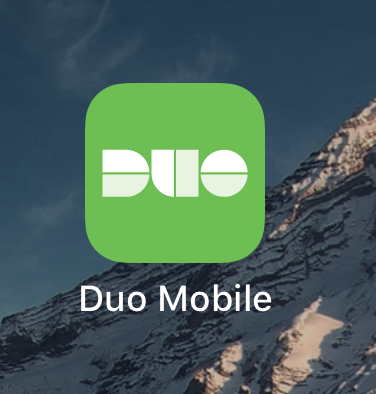 Note: If you have not yet set up the DUO Mobile app on your smartphone or tablet, please refer to our Installing the DUO Mobile App on Your Device article before continuing. Send Me a Push - This method sends a Push notification to your smartphone/tablet which will then allow you to Approve or Deny the login attempt. This method requires that you have an Internet connection either through cellular data (3G, 4G, LTE) or through Wi-Fi. 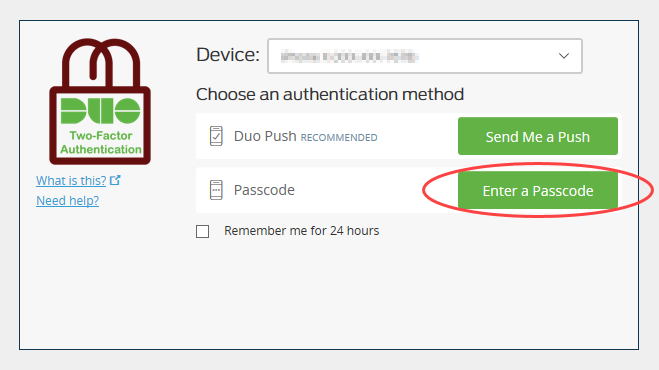 Enter a Passcode - This method allows you to generate a temporary passcode using the DUO Mobile app which you will then enter in to the provided passcode field to login. This method does NOT require that you have access to the Internet. It will work even when you don't have cellular or data service or access to Wi-Fi. This passcode is usable once and will expire after a short period of time. 1. 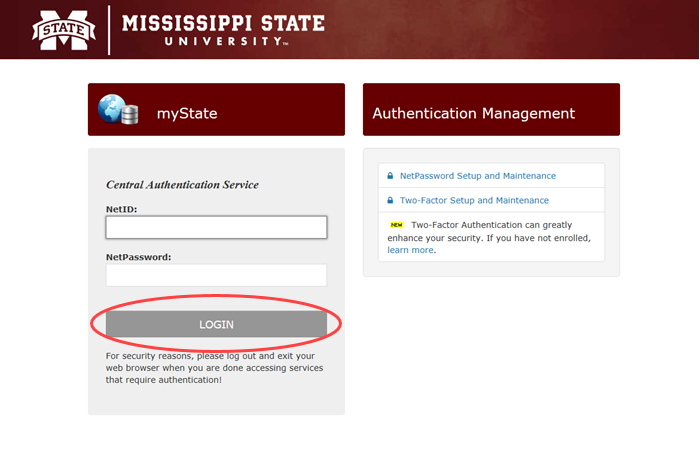 Navigate to the MSU service/site you would like to log in to (myState, myCourses, Exchange email, etc), enter in your NetID and NetPassword, then click LOGIN. 2. 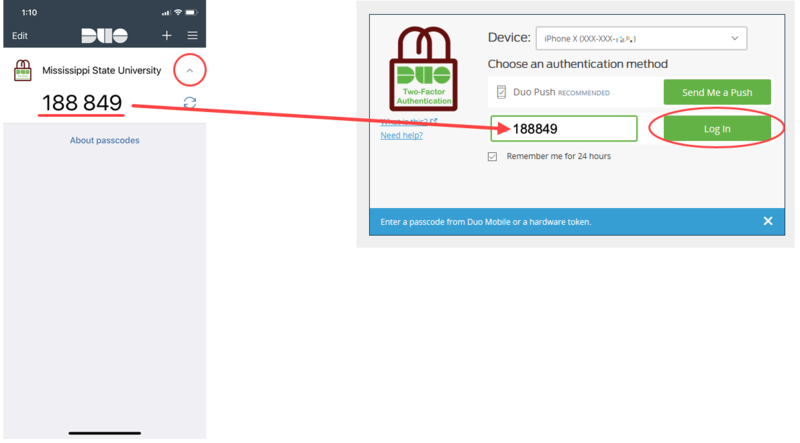 At the Duo Two-Factor authentication screen, click the Send Me a Push button. Note: The "Remember me for 24 hours" checkbox allows you to not have to authenticate with Duo for 24 hours. It should not be used when using a public computer and must be set on a per-browser basis. 3. You should receive a notification on your smartphone/tablet that you have a Login Request. Tap this notification or open the Duo Mobile app. 5. Once the Approve/Deny request comes up, tap the green Approve button to confirm the login. Note: The location of the device sending the request is shown on the Request screen. 6. Back on the computer, you should be immediately logged in to the site/service you are trying to access. 2. At the DUO Two-Factor authentication screen, click the Enter a Passcode button. 3. On your smartphone/tablet, open the Duo Mobile app. 4. Tap the arrow next to Mississippi State University to be shown your generated passcode, enter that passcode into the passcode field on the computer. Click Log In and you should be logged in to the site/service you are trying to access. Request a Two-Factor Authentication Token: If you do not have a compatible smartphone or tablet to use with DUO, or if you do not wish to use your personal device for authentication, you can request a Two-Factor Authentication token which you will use to generate a code you will enter each time you log in. Request assistance with Adding/Managing Two-Factor Authentication Devices: If you are having trouble adding/re-adding a device and have already followed the steps in the article above, you can request additional assistance from the Service Desk.